I'd love for there to be an option for an "inverted" theme, like you often see in apps, such as Android apps, and so on (light and dark themes), where if you select the "inverted" or "Dark" theme for LastPass (LP), it would change all White LP dialog backgrounds to the LP Red, with white text where the black text normally is. Basically mimicking the usual LP Red/White colors, like you see for the Icons and stuff. Particularly the interstitial dialog that's shown when a login/pass has been entered and is waiting on the next page to show, would be nice, as well as the dialog shown when an asterisk is clicked on a text line in the browser window, and the logins are shown for you to select from. Though all the rest would be great as well, as long as they're kept legible. Then it would still keep the usual LP theme, but just "dark" and more colorful, instead of kind of "washed out" looking, with all the white, which has been one small nitpicky gripe of mine ever since moving to LP from Roboform. Another related thing; the interstitial I mentioned above, shows a dark outline when selecting/hovering over an item: (http://i.imgur.com/Z1ypWeG.png). It'd be so much nicer if it was either removed, or at least extend the right side of the box all the way to the right border, like it is on the left. 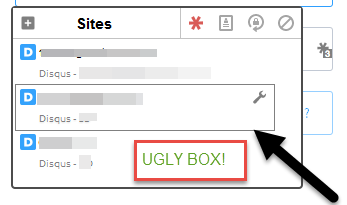 I know, nitpicky, but I design websites for a living, and these things drive designers NUTS seeing them hundreds of times a day! I would also like a "dark" theme. I like the 4.0 version and think it is cleaner and easier to navigate. I use a the Chrome extension ESI Stylish to change websites to dark, but it does work (haven't found how to use prefix chrome-extension:\\ ) for browser extensions. I would also really love a dark theme option. I really do like the look of the 4.0 interface, but it would look so much better (in my eyes) to have the white background (and darker text) switched to black or dark gray with white/light text. This should be fairly trivial to implement. Having this option in the mobile apps also (including the authenticator) would be fantastic. Another +1 for this. It's the reason I still use Google Authenticator as opposed to LastPass Authenticator. Would be great to have this as an option. Yes please, would love a dark theme option. As me to the post who would REALLY appreciate a dark mode.